At any point in time, children’s mental health is influenced by a mix of strengths and vulnerabilities. Effective practice focuses on enhancing and promoting strengths, while accounting for vulnerabilities. An understanding of both the strengths and vulnerabilities of infants, children and families is critical to working with individuals and families with complex issues1. Strengths are areas of the child’s life that enhance their wellbeing, such as family and school connectedness, prosocial behaviour, developmentally appropriate emotional and behavioural responses, and positive peer and adult relationships. Strengths-based approaches employ theories and strategies that focus on children and families’ capabilities and resources rather than the more traditional focus on deficits and pathologies. Individuals’ abilities, resources, personal characteristics, interests and wishes are all taken into consideration and seen as motivators and tools for positive change. Such approaches are built on the premise that the normal human development process tends towards healthy growth and fulfilment, and that everyone has strengths that will aid them in this process2. Vulnerabilities are areas of the child’s life that may be of concern or could benefit from further attention and support. They include individual factors, such as developmentally inappropriate emotional and behavioural responses (e.g., difficult temperament, problems managing emotions or negative thinking style); family factors, such as parental stress and problems (e.g., alcohol and other drug misuse or mental health conditions); and social factors, such as negative experiences in the community (e.g., discrimination or isolation)2. Vulnerabilities are complex and interconnected, and it is common for infants and children to be faced with multiple vulnerabilities3,4. Individual, family and social factors all contribute significantly to mental health outcomes of infants and children. Children in out-of-home care, for instance, are more likely to have experienced greater socio-emotional and behaviour problems than other children. 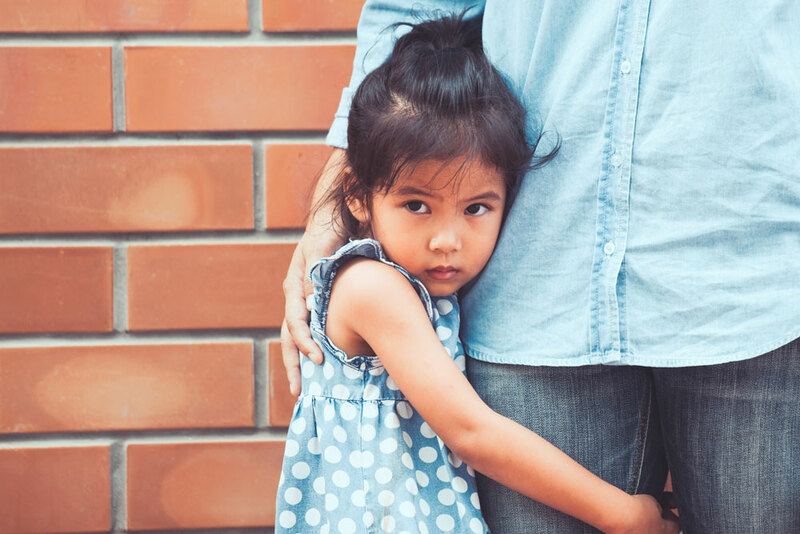 Similarly, children exposed to the impact of parental problems have a significantly greater risk of developing emotional symptoms, and financial hardship has consistently been found to predict negative mental health outcomes. Here we use the term “strengths and vulnerabilities”, while others use the term “risk and protective factors”, which is often associated with more formal assessment tools and policies. 1. Scott, D., Arney, F., & Vimpani, G, Think child, think family, think community, in Working with vulnerable families: A partnership approach F. Arney, Scott, D., Editor. 2013, Cambridge University Press: Melbourne. 2. Hunter, C., Is resilience still a useful concept when working with children and young people? (CFCA Paper No. 2). 2012, Melbourne: Child Family Community Australia, Australian Institute of Family Studies. 3. Guy, S., et al., How many children in Australia are at risk of adult mental illness? Australian and New Zealand Journal of Psychiatry, 2016. 50(12): p. 1146-1160. 4. Zeanah Jr, C.H., Zeanah, P.D, The scope of infant mental health, in Handbook of Infant Mental Health C.H. Zeanah Jnr, Editor. 2009, The Guildford Press: New York. p. 5-21.